Preassembled IDO Glow furniture package in white and dark brown. 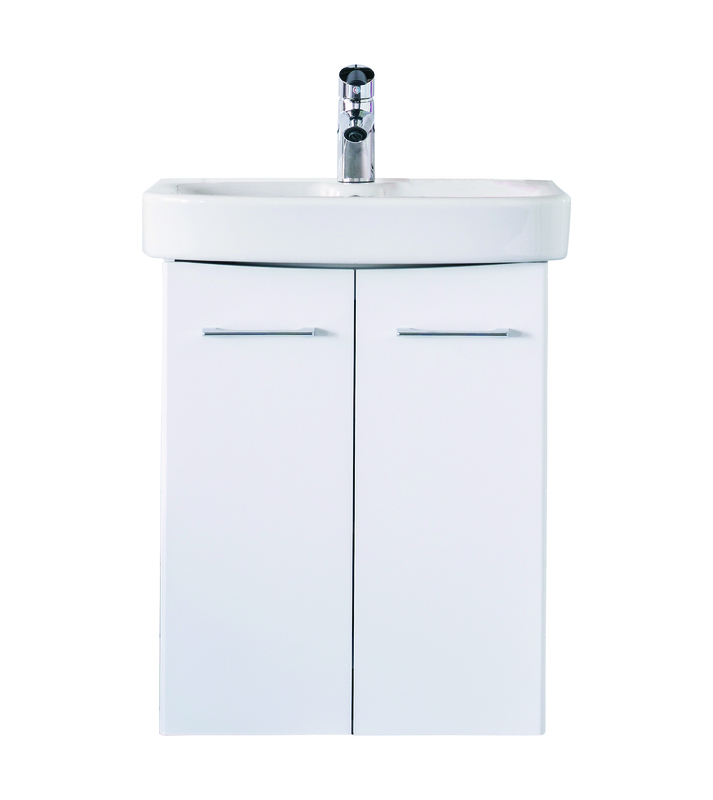 Washbasin 11165 and base cabinet with soft closing doors with one shelf are included. Handle in chrome c/c 145mm (Z400437001) and water trap are also included. The frame is made of moistureproof MDF-board and the doors are made of moistureproof laquered MDF.